FROM chef to fishing entrepreneur, a Sunshine Coast man has hooked $40,000 from local investors who believe in his unique product. The investors, who asked to remain anonymous, will in return receive part-ownership of Scott Vander Hulst's company. It means his product, The Tackle Table, will be in the hot hands of keen fishermen and women soon after the first order ships on August 1. Mr Vander Hulst said he was relieved and excited, as an earlier attempt to crowdfund the manufacture of his first 1000 products failed to reach its target. 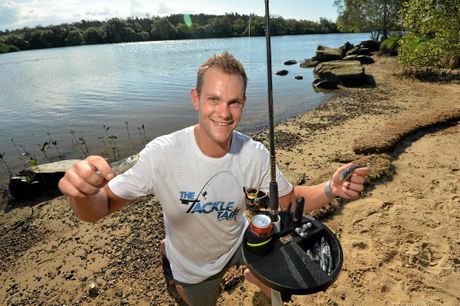 He reckons if you've ever been fishing and had your beer fall over in the sand, you might like to give The Tackle Table a go. It allows you to secure hooks and tackle in a bait preparation station that sits atop a standard-size bucket, and comes equipped with a drink holder, a chopping board, knife, and tackle and plier slots. Mr Vander Hulst said the first step of manufacturing would take place at a Brisbane plastics company, with final assembly taking place at his own small factory on the Sunshine Coast. 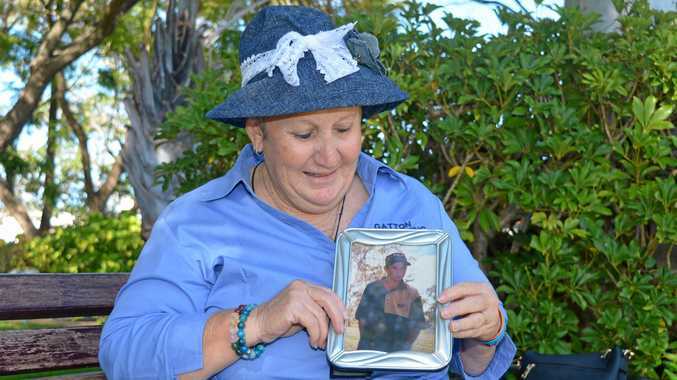 A former chef, Mr Vander Hulst said he now works as a landscaper with Caloundra business Work In Dirt, but had his sights firmly set on being his "own boss" for the last two years. "15 years as a chef was more than enough," he said. He said that while he investors were known to him, it was an article in the Daily that prompted them to contact him. "They'd heard about it vaguely, previously, and when they saw it in the Daily they gave me a ring," he said. He said he took his designs, business plan, and a prototype to a meeting with the investors, who grilled him with tricky questions. "It was like a pitch on Shark Tank I guess," he said. "I was very excited about the fact we're actually funded...this is actually going to happen." While each of the first 1000 products will be meticulously finished by hand, Mr Vander Hulst hopes that in time his factory would employ local residents. Once The Tackle Table has established itself he hopes to move on to a "backlog of business ideas", he said. "I hope it leads to further things," he said. "I plan to expand this with a few more products along the same line." For now, he was happy to "not work for the man". The Tackle Table costs $39.95 and can be ordered online by clicking here. In the lead-up to Father's Day, Mr Vander Hulst will hold a popup shop at Sunshine Plaza, he said. His former school, Sunshine Coast Grammar is also promoting the product.